CMI has extensive experience in providing accurate and thorough metallurgy, materials science, and mechanical engineering information. Based in Hartford, Connecticut, you can rely on our scientists to help you get the information you need. 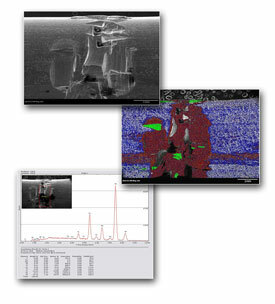 Superior metallurgical testing services should include the capabilities to perform microscopic, macroscopic, and scanning electron microscope examinations. Our metallurgists and materials analysts have experience with all three. 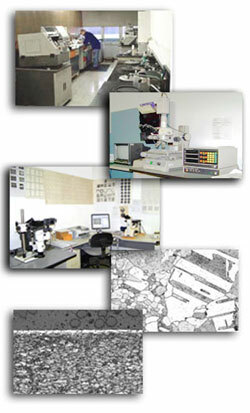 We cover a wide variety of material microstructures and are versed in many aspects of materials science. Mechanical testing is used to determine a material's strength by applying loads that pull, compress, impact, bend, or cycle the material. These techniques can be used to verify proper processing as well as to help determine a materials durability and performance capability in everyday applications. CMI has built its reputation for creep and stress rupture testing in the aerospace, power generation, and other critical industries by providing both conformity assessment testing and research and development support. With over 75 test frames and state-of-the-art data acquisition and control apparatus, we offer unparalleled temperature accuracy, flexibility, and in-process data access. Environmental degradation of materials related to corrosion accounts for $280 billion dollars per year in damage to metallic structures. Our salt fog testing chamber and other corrosion testing protocols can help to ensure failure prevention resulting from exposure to certain harsh environments. 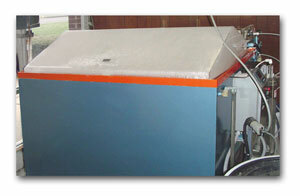 CMI performs salt spray/salt fog testing per ASTM B117. Salt spray testing provides a controlled corrosive environment that is used to produce relative corrosion resistance information for metallic specimens, both coated and uncoated, when exposed to a given set of conditions within a controlled test chamber. Samples are placed in a sealed salt fog chamber or cabinet, which mixes hot air and a salt solution to create a corrosive environment that is intended to simulate weathering and potential corrosion that metals and other components would experience in nature over long periods of time. Testing is performed to five different standard practices or methods used for detecting the susceptibility of austenitic stainless steels to intergranular attack. The standard covers a variety of processes to include preparation of the test specimens, apparatus setup and testing procedures, calculations, rapid screening tests, reporting information for each testing practice. 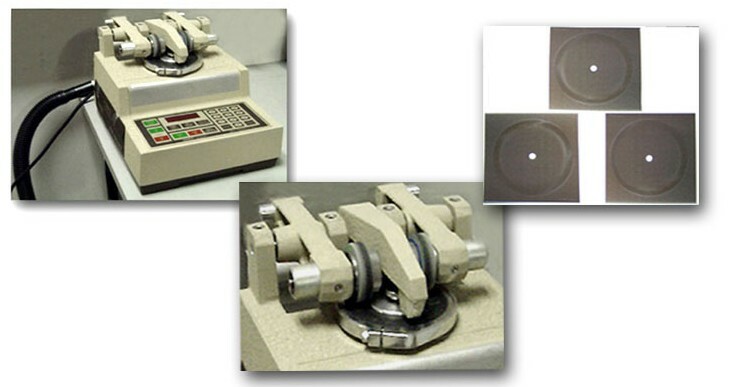 The rotary platform abrasion tester is a standard instrument. 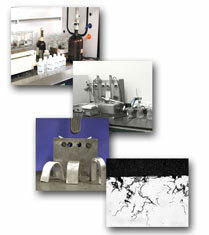 It is typically used for evaluating abrasion and wear resistance of certain coating systems. Testing involves placing a specimen on a turntable platform that rotates at a fixed speed and then applying abrasive wheels at a specified pressure. As the turntable rotates, the wheels are driven by the sample in opposite directions on a horizontal axis which is then offset from the center axis of the sample. The abrading wheels then rub the specimen while a vacuum system removes loose debris during testing. Resistance to abrasion may be affected by factors including test conditions such as the type of abrasive wheel being used, the mounting pressure, or tension between the specimen and wheel, and the type of specimen or finish of the materials being tested.